And when I say that pop-up appears immediately after clicking the “Start Replication” button, I mean it — we’re talking almost instantaneously. The role of Commerce Server Staging is to move Commerce Server data between environments or sites. If the master and web environments are pointing to the same Commerce Server site instance, as soon as data is changed on the master environment, it will be published to web. To ensure that Commerce Server data is not published unexpectedly, it is strongly recommended that you have one Commerce Server site for your Content Management (CM) environment, a separate Commerce Server site for your Content Delivery (CD) environment, and then use Commerce Server [Staging] to move the data. I added the [Staging] to the final sentence above, as I think it’s pretty key to understanding the topic. It’s usually magic and just works — but I was not able to run any type of Commerce Staging operation, so I needed to peel back the curtain and learn a bit more about how to troubleshoot Commerce Staging. This write-up on Monitoring Commerce Staging laid the foundation for my eventual resolution. Before exploring that angle, however, I reviewed this write-up with some basic pitfalls on Commerce Staging . . . of course there’s this gem about DCOM permissions (& my write-up on applying that setting when the GUID isn’t readily available) . . . Sitecore’s KB site has some suggestions and the Community.Sitecore.net has some suggestions. There are hundreds of nooks and crannies one can investigate here, so it took me some time to discover what was going on. Hopefully, my adventure can inform others, so here goes . . . I opened the Access database and found that it didn’t have any helpful information for my scenario. My “cannot find the file specified” exception was not in evidence there . . . but there is some interesting meta-data captured in that Access MDB for Staging. This Events folder appeared to be a dead-end. I couldn’t use LINQPad on the server running Commerce Staging as I didn’t have the proper SQL CE 3.5 drivers, but when I moved it to my developer machine I could view the .sdf file without issue. Interesting . . .
My next step was to use ProcMon (available at https://docs.microsoft.com/en-us/sysinternals/downloads/procmon) and compare a process capture from my environment that raised the exception with a properly functioning Commerce Staging environment. This took some trial and error, but filtering on the CSSsrv.exe helped me focus on the task at hand. 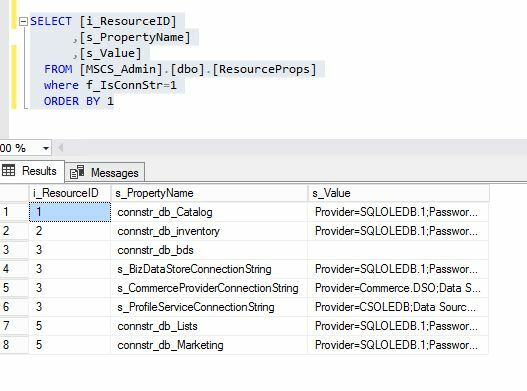 The highlighted area above, C:\Program Files (x86)\Microsoft SQL Server Compact Edition\v3.5\sqlceer35EN.dll entries, were entirely missing from the initialization process of my broken Commerce Staging environment. Neither MS SQL Server Compact Edition nor MS Synchronization Services were installed to this server. 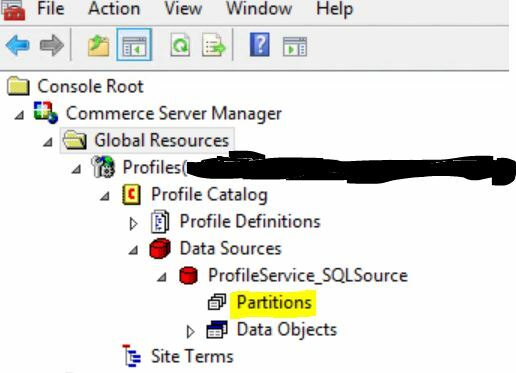 I did some further research, and learned that the CommerceServer.exe should fold in these elements with any Commerce install, so I needed to do a repair installation with the CommerceServer.exe and that added SQL Server CE and other dependencies necessary to solve the issue. Our PowerShell that installs the CommerceServer.exe must not have been using a properly elevated account, or this was done with a manual execution of the installer that didn’t use the proper administrative credentials. Everything worked fine after I completed the repair install of Commerce Server. Based on my testing, the CommerceServer.exe may exclude some key Staging dependencies if it’s not run in a proper Administrator context. I thought it was written in the docs somewhere, but I don’t see it in Sitecore’s documentation on installing Commerce Server .exe — running that EXE in the context of a local admin account is crucial to the success of that process. I use this account and the shift + right-click -> Run as different user” option when launching the CommerceServer.exe manually, and this has been successful for me.